In my previous post change of sponsorship, i have explained this very well but now it will be in a single step procedure. As you know without working with you sponsor or kafeel is illegal in Saudi Arabia and you could face problems even deportation in this case if you are working with another kafeel/sponsor. 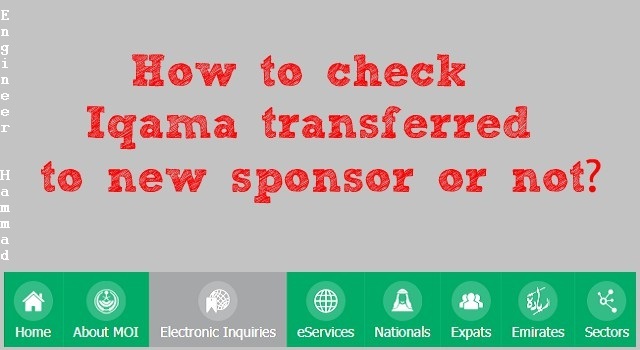 So whenever you change your job you have to change your sponsorship as well and how can you check your change of sponsorship is very simple, first of all, you have to know about the fee as mentioned. * Related Post: Change of sponsorship procedure at MOL website. First-time sponsorship change fee is 2000/SAR which is mostly paid by the new sponsor. Second-time sponsorship change fee 4000/SAR which is mostly half paid by you i mean 2000. Third-time sponsorship change fee is 6000/SAR and new sponsor will pay 2000 only and 4k by you. Only your sponsor can check the detailed information regarding your transfer but you can also check the funds deposited for your transfer online. If the fee is shown in jawazat system; it means your transfer is not yet processed. If your fee has been deducted then your transfer process have done. Now click on electronic enquires. Hover over your mouse pointer at MOI Diwan. 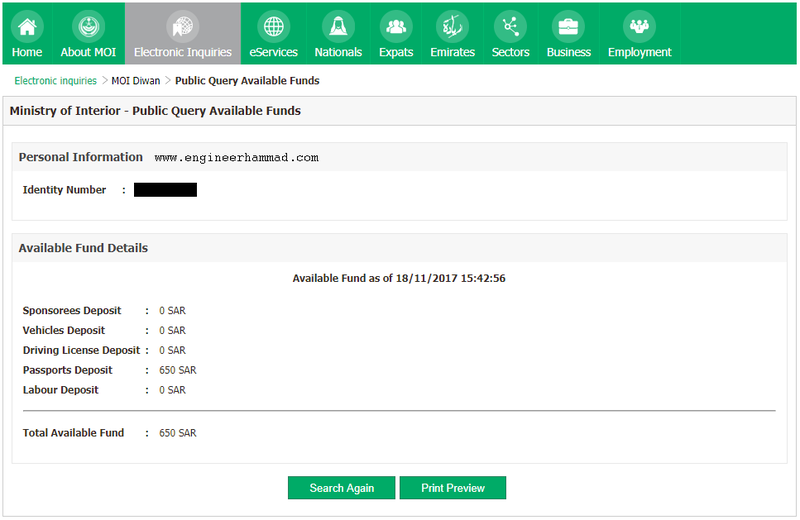 Now select Public Query Available Funds. Inter your iqama number and check your available funds. MOI Absher registration procedure and benefits. How to get register with Saudi Council of engineers. How to check how many SIMS are registered under your Iqama. How to check Huroob status of Iqama and MOI and MOL website. Process to change iqama profession or Visa profession in Saudi Arabia.